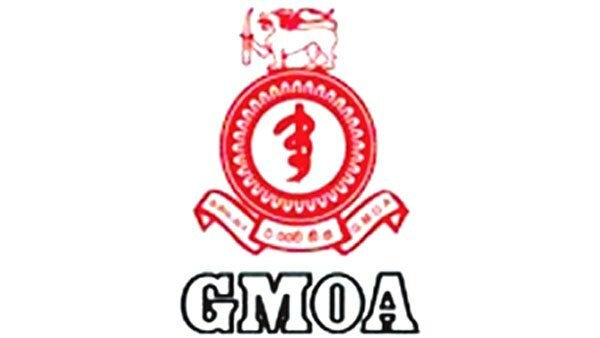 The Government Medical Officers’ Association (GMOA) warned to hold an island wide strike on July 17 if authorities fail to meet ten demands which were listed out in a letter sent to President Maithripala Sirisena, today. SLMC is a statutory body of govt. under a minister. An amendment should be passed to absolutely prohibit active TU action of GMOA by expelling Ex Co of GMOA from SLMC. SLMC must include a lawyer and non medical members of integrity and proven character like the GMC of the UK. Medical education policies should not be subject to the fluctuations of the whims and fancies of TU ExCo. They should not be allowed to pollute the already biased SLMC with a court verdict of violation of the Medical Ordinance. That group too should be disqualified as SLMC , as there are enough uni. staff for replacements. They have done much damage already. Minimum qualifications for SLMC must be gazetted before calling for applications, disqualifying any TU activists whose goals do not tally with SLMC to promote medical education for SL without politics. GMOA is already drawn to Hitler type lawless policies of unhealthy govt. chaos. Let them function in their TU policies. Goal of SLMC is totally different which is to promote and not destroy medicine. GMOA already got 4 TU into SLMC. They want other 4 posts too. Then no SLMC, only GMOA twice over. What a joke? The docs in GMOA think their secred duty is to strike to win unreasonalbe demands & not to treat patients. Why the hell the govt. continueing with free education at Uni level? The public has to pay for their education & also have to face difficulties because of their selfish attitudes. Hon. President, enough is enough... Make health service an essential service & end these unreasonble action.